The presence of marine and forest environments living side by side characterizes this park. It is a transition point as all the paths go through the forest but offer many openings to the River. Benches are available for resting and observing the tide, sea, and forest birds. Marine mammals, like seals, belugas and fin whales, may be seen. 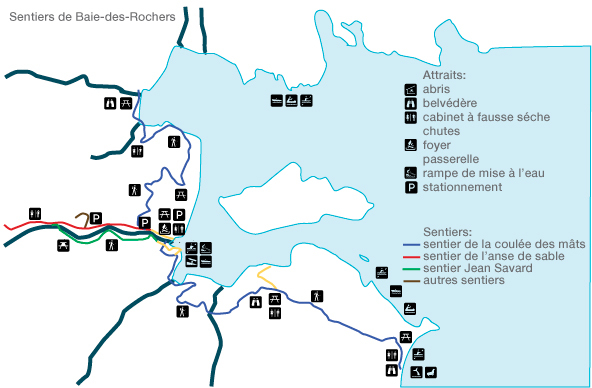 From Saint-Siméon, follow the route 138 east, on 16 km. At Baie-des-Rochers, turn right on rue de la Chapelle and drive on 2,5 km, to the quay.